National Restaurant Association Show veterans know what to expect over the next four days: tens of thousands of attendees, a massive exhibit floor, countless product and technique demonstrations, the chance to bone up on the latest trends, and much, much more. But the Show evolves every year. Here’s what you can’t miss this year. A conversation with Condoleezza Rice: 66th Secretary of State Condoleezza Rice will join National Restaurant Association President and CEO Dawn Sweeney at Signature ’18. Rice will share global insights from her career in public service and business consulting. Later in the program, she’ll sit down with Sweeney for a question-and-answer session that will explore U.S. foreign policy, international relations, national security, and more. Open to all badge holders, Signature ’18 is scheduled for Sunday at 2 p.m. in the Grand Ballroom. The future is now: SuperSession: The Future of Restaurants features renowned futurist Daniel Burrus leading a conversation about the technologies set to disrupt business as we know it and how restaurant businesses can plan to capitalize on the coming changes. He’ll share innovative ideas about how restaurant operators can adopt technology to better serve their customers, while remaining competitive and profitable. SuperSession is scheduled for Saturday at 11 a.m. in the Grand Ballroom. 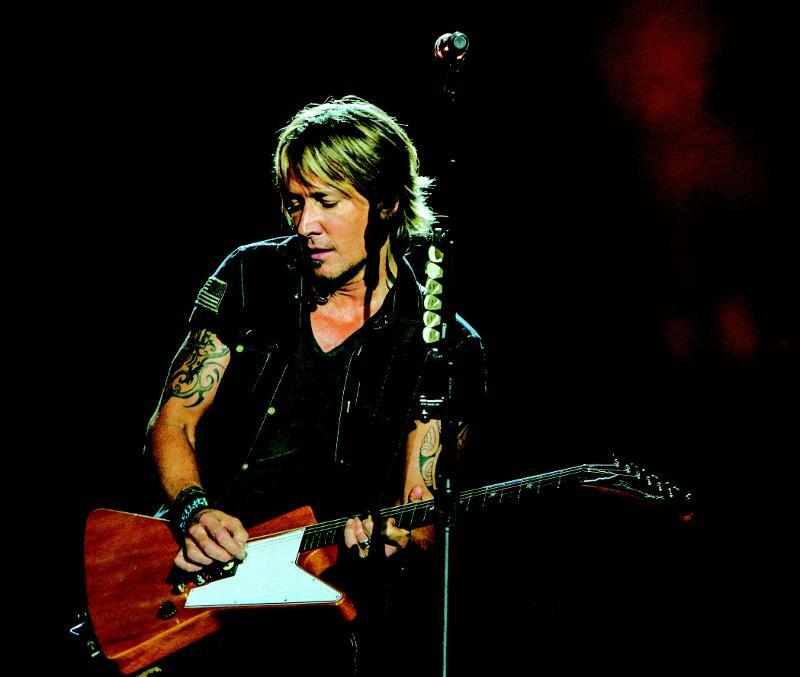 Keith Urban headlines Restaurant Rocks: The industry’s biggest celebration takes over Saturday night with an exclusive concert by four-time Grammy winner Keith Urban at the new Wintrust Arena. Visit the arena box office, with your Show badge and drivers license, to buy your ticket to the biggest party of the Show. A taste of FABI: Special tastings of food and beverage products singled out for FABI Awards this year will be offered at the Foodamental Studio space in South Hall on Monday. Stop by at 10 a.m., 12:30 p.m., and 3 p.m. on May 21 to sample this year’s FABI Award recipient products. Business-building education sessions: As always, this year’s program of education sessions exploring business operations, technology, beverage/alcohol, workforce development, and food and nutrition will touch on many of today’s challenges, opportunities, and best practices. Go-to growth ideas: The first-ever Restaurant Revenue Growth Conference, designed for high-level executives at restaurant chains, franchises, and high volume independent operations, will focus squarely on driving sales and profits. A stand-alone event held in Chicago May 20 and 21, the conference requires a separate registration. Designed for results: Recipients of the prestigious Kitchen Innovations® Award will be on display at the KI Showroom (Booth #244). This year’s award-worthy equipment will improve back-of-house operations with improvements in efficiency, safety, speed, and more. Dynamic conversations: One of the benefits of attending the Show is the chance to encounter like-minded individuals for networking and brainstorming. The Water Cooler (Booth #2224) is designed to facilitate these kinds of informal interactions. The intimate space, which accommodates up to 25 attendees, is designated for brief, facilitated conversations that focus on crucial topics as well as meetups and casual networking. Look for a schedule of topics and meetup themes. Find your balance: Perhaps more so than in other industries, work-life balance and self-care are critical for restaurant owners and managers to avoid burnout, retain employees, and achieve great results. The Balancing Act at Booth #2261 will feature expert advice on wellness-oriented topics and provide insights worth sharing with your staff and employees. From five-minute exercise mini-breaks to stress management, you’ll find actionable ideas here. The BAR is now open: BAR at the Show, devoted to ideas for boosting beverage sales, is no longer a separate event. The full complement of exhibits, demonstrations, and educational programming—including the Star of the Bar® Mixology Competition—is now open all four days of the Show and accessible to all badge holders.